Sign up with your email address to receive updates and photography tips. And be the first to know about special promotions. Baby belly. Beautiful mother. Loving kids. Through the lens of my camera, it was evident that this little baby is sure blessed to have such a loving family. I sure enjoyed capturing these beautiful moments of our neighbors! Not only are these two the coolest - they are also the coolest friends! I’ve known this soon-to-be mama since we were thirteen in high school. Went to the same college and were even roommates. Both teachers, well… she is a professor now and now we have the same due date! The only thing is that she is in Atlanta, and I am here in Maine. I so wish we were in the same town to share this journey together and to have our babies be best buds. It was such a blessing to capture these moments for her. I was able to capture their fun, loving, and stylish personalities. These two are so terrific together and I think it is evident through these photographs. I cannot wait to meet baby! She will be one lucky girl to have such a cool mom and dad! This morning I had the privilege to capture this couple’s baby’s first portraits. It is so special to me that I get to meet a couple and then photograph them again with a new baby. This little baby boy is one lucky baby to have these two as parents. There was non-stop doting on baby and each other. I just feel so blessed to be able to capture these beautiful moments and memories that I hope families will cherish for a lifetime. Well, the countdown has begun and I am only four weeks away from my due date. I love making guesses on delivery dates and times, so I thought this giveaway might be some fun for everyone. Go to http://bebepool.com/cathyclicks and enter your guess on baby’s gender, date, and delivery time. The person with the closest guess will win a free photo session and a Pinhole Press Panoramic Photo Album, which I featured in my last blog post. I usually don’t like posting pictures of myself, however I had to share this one. I didn’t take many belly pictures with my third child, so I wanted to make sure to capture my growing belly for my fourth. My talented husband took this picture of me and I just had to share it. Of course, my little model had to get in the photograph and I just love how it turned out. My husband captured my natural smile, and one of my adorable daughter’s faces. I love how her face is partly hidden by my belly. I am now going on 23 weeks - I can’t wait to meet the little guy or gal. There is just something about a woman who has a belly bump. The excitement of a little baby growing, twisting, and kicking is just such a miracle. I know that most of the time a preggo woman do not feel beautiful, but a preggo mom IS beautiful - especially this one. Through email conversations I knew I would be a perfect match for this couple. We clicked. We talked. We photographed. And we created beautiful images. This child will have beautiful images to cherish of her mom and dad. I cannot wait to meet this little darling. She will be one lucky girl to have such loving and fun parents. 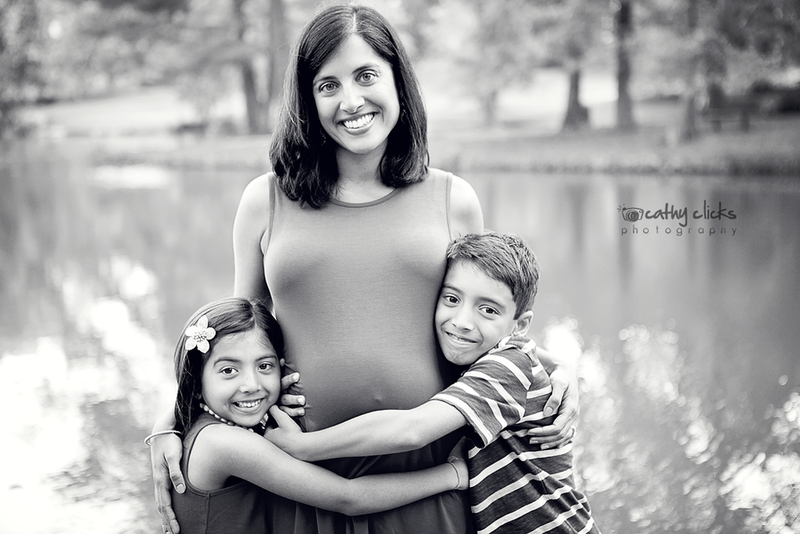 This family of three will soon be four and was blessed to photograph mama with her baby belly. If you want to picture the glow of a pregnant women, just look at these images. 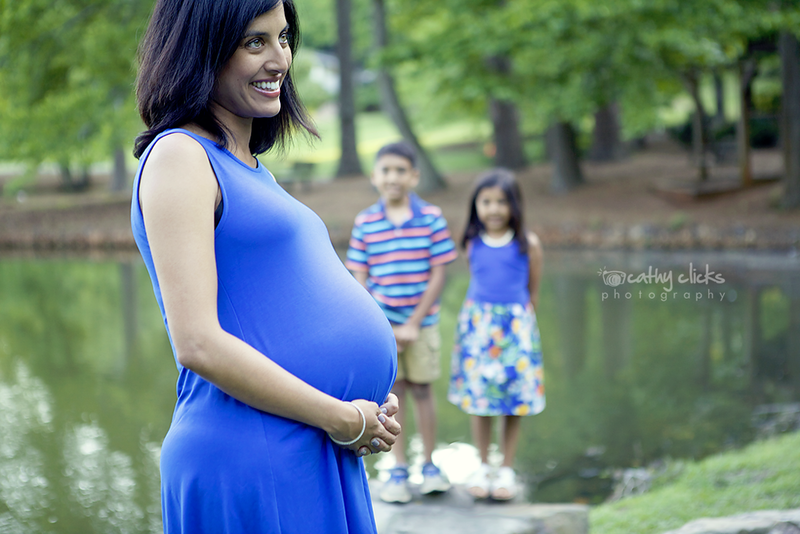 This beautiful glowing mama, handsome son and dad was such a delight to photograph. I cannot wait to meet the new addition!